Students must come prepared to class. This includes PAL (Pencil, Agenda Book, and Library book) as well as appropriate class binders, homework, etc. We have a few students who are still struggling with this so any encouragement or help from home is appreciated! In language arts class, Mr. Brooks' students have been concentrating on new vocabulary as well as practicing good reading habits such as making mental pictures and using context clues. Each day starts out with silent reading time so make sure your child is engaged in a book! In Language Arts case, Mrs. Whitehead's students began working on new vocabulary with a focus on prefixes. We just began the book Touching Spirit Bear and will be reading daily. We also start each day with silent reading time and will be working on documenting that reading in class as well as outside of class. Please continue to make sure your children are reading daily at least 20 minutes. Math classes have been doing a lot of reviewing. Students have be working with rounding, comparing, adding, subtracting, multiplying, and dividing decimals. One of Mrs. Lowery's classes is working with GCF, LCM, and fraction, decimal, percent equivalents. Remember - Weekly Essentials are due EVERY Friday. In social studies, students have been focused on basic geography such as latitude and longitude as well as the 5 themes of geography. Lasts week students watched a touching video about 9/11 and engaged in an informative discussion. Science classes began the year reviewing the Scientific Method. From there, we have moved on to the Solar System focusing on Planetary Motion, Seasons, the Moon and much more. We will soon do a lab involving Oreos to help us learn the phases of the moon. 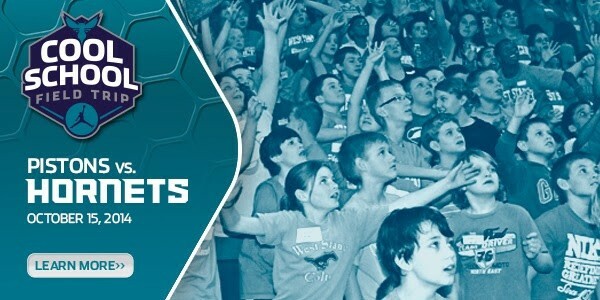 This annual event is presented by Jordan Brand at Time Warner Cable® Arena for middle school students and teachers. Students will be guided through fun curriculum-based activities and videos on the importance of respecting oneself and others! Plus, they will get to cheer on their favorite players at an NBA basketball game and enjoy lunch catered by McAlister's Deli!